How Long Does the Average Window Last? Are you beginning to fear that it’s time for a window replacement at your home? If so, it is likely that you’re beginning to ask yourself how long your windows should actually last. Unfortunately for many homeowners, the average lifespan of a window is only 15-20 years and the number can be significantly less than that if you choose the wrong style of window for your home. For example, Florida homeowners should invest in products that are designed to withstand all of the common weather elements such as strong winds, heavy rain, and intense heat and humidity. For the majority of homeowners, the perfect window for your home is going to be a vinyl window. Thanks to a number of state-of-the-art features, vinyl windows are designed to protect your home better than any other product. If you’re ready to enhance your home with energy-efficient and durable windows that will last for years to come, turn to the experts at NewSouth Window Solutions. We proudly custom-manufacture and install our own windows that are designed to stand up to everything Mother Nature has to offer to Sunshine State homeowners. And, we feel so strongly about the products we install that we back all of them with an impressive lifetime, transferable, warranty so you can rest assured your investment will remain protected. 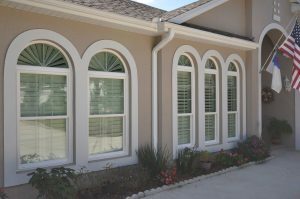 To learn more about the impressive replacement windows we offer to homeowners throughout the state of Florida, contact NewSouth Window Solutions today. Make sure to ask about the convenient financing options we offer to all qualifying homeowners.